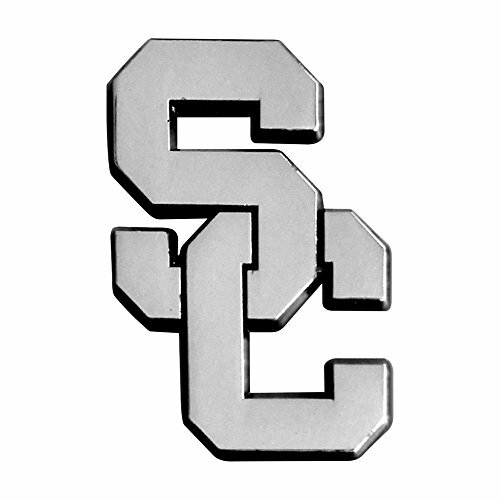 FANMATS University of Southern California Emblem is the perfect way to accessorize your ride and show team pride. The chrome emblems are easy to apply and look great on any vehicle. Crafted from durable, long lasting chrome metal to resist the elements regardless of the weather. The molded design provides a clean, polished look. Each emblem measures approximately 3 inches by 3 inches. The user-friendly design is easy to install - just peel and stick to any clean, hard surface. Customize your ride and let everyone know that you're the number one fan of the number one team. View More In Grills & Accessories.